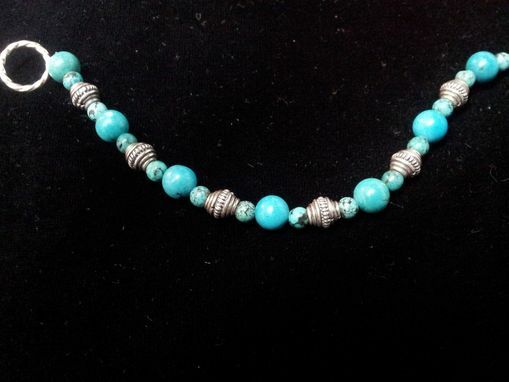 This regal necklace made of real turquoise beads can be a versatile addition to any wardrobe. 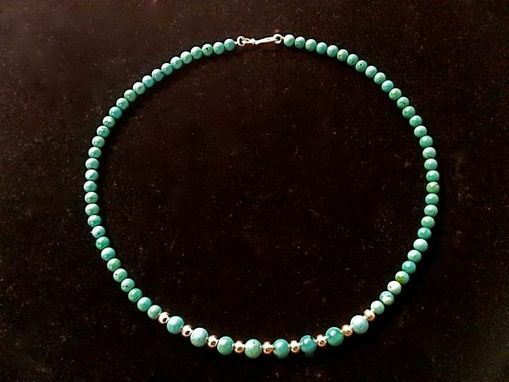 It's not just for summer casual , it can also be a nice complement to your evening dress, thanks to sterling silver beads interspersed with some of the beads in the necklace's middle. 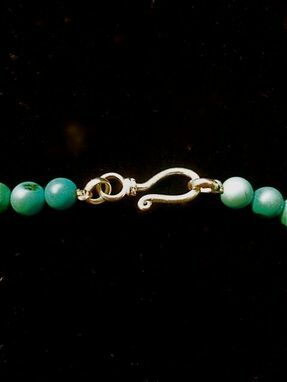 The 19'' necklace also has a hook and clasp in silver.